Victaulic Tools for Revit® finally provides an intuitive set of tools that are purposely built to improve pipe routing and fabrication functionality in Revit® 2014, 2015, and 2016 including 2016 Fabrication Parts. It’s specifically designed to meet the needs of engineers, contractors and pipe fabricators—giving you smarter tools to fabricate faster and route more efficiently. Tasks that used to require hours of workarounds can now be done in minutes. “VICTAULIC TOOLS FOR REVIT 2017 IS YET ANOTHER OUTSTANDING ADD IN FOR REVIT THAT LEVERAGES THE VICTAULIC’S EXPERTISE IN CONTENT DEVELOPMENT AND PIPE ROUTING, AND HAS A PROFOUND IMPACT ON WORKFLOW EFFICIENCY. WE ARE EXCITED TO PARTNER WITH VICTAULIC, WHO CONTINUE TO EXTEND AND ENHANCE REVIT FOR MEP USERS”. Victaulic Tools for Revit® is designed to improve the functionality of standard Revit® software, no matter the project, no matter the content producer. Victaulic Tools for Revit® comes preloaded with over 100 Victaulic content families. Victaulic content is developed internally, with best piping practices in mind, and sent directly to your toolbar to ensure you are routing with the most up to date, industry leading content. Create formatted fabrication drawings with detailed bills of material for the first time within Revit® with the Victaulic Procurement Tool. Whether you’re routing with Victaulic or competitive systems, Victaulic Tools for Revit® will increase your efficiency and productivity with tools designed to enhance your modeling experience. Victaulic Tools for Revit® make pipe routing and editing fabrication a breeze so you can work faster and smarter. 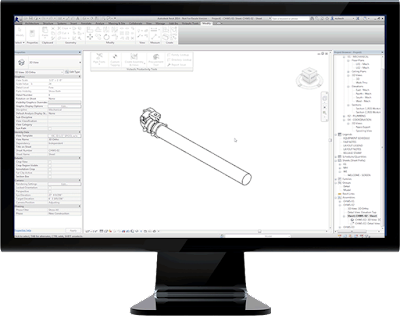 Cut lengths of pipe to your project specifications with a single click. Pipe lengths are then automatically imported onto your bills of material. Create assemblies seamlessly, avoiding the delays associated with adding small or missing components. Victaulic Tools for Revit® accesses product features ten layers deep to ensure that no component is missed. Increase or decrease the size of a full pipe section with the click of a button. All components, including valves, strainers, couplings and fittings will resize within your selection. Delete pipe sections within your 3D view and in a single click. The pipe will then reattach fitting to fitting and with pre populated gap spaces built in. Rotate pipe sections along a specified axis within your 3D view allowing you to see every angle of your pipe section. Sequence your tags automatically for sections of pipe. Predefined tagging presets let you tag individual families and update those tags parametrically. 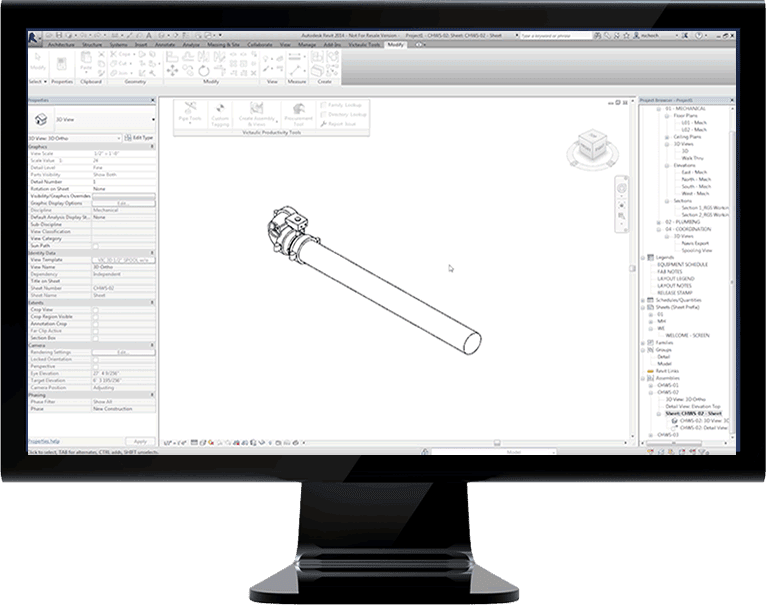 With the Victaulic Tools for Revit® , we’ve compressed 30 years of routing expertise and content development into a suite of Revit® tools to do one thing: increase your productivity. With a team of 70 global piping coordinators testing our toolbar daily, we’re ready to provide the assurance and support you need. 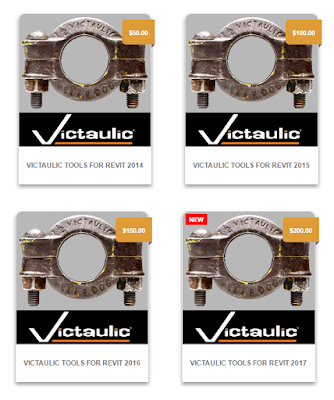 Victaulic Tools for Revit 2017 is priced at 200.00 USD. There's more information available on the Victaulic Software website.